Summer Camp Tech Policies: Should Kids Bring Devices? Most people think of summer camps as a warm weather break from the activities that typically happen at home. This often means a few weeks or more without technological devices. Asking a youngster to scrap his cell phone and video games for an entire month is easier said than done! If you were to ask a random assortment of parents and their kids about the meaning of summer camp, chances are that most answers would be similar. Respondents would say that summer camp presents the opportunity for young people to develop new friendships, learn new skills and enjoy the warm weather. Few people would even think of responding with an answer that involves video games, cell phones, movies, television and other electronics. Our latest guest post comes from Ziqian (Cecilia) Dong, Ph.D., Assistant Professor, New York Institute of Technology. Here, Dr. Dong discusses how parents can help teens get smart and stay safe on smartphones, even if the parents themselves are a little in the dark when it comes to the technology. Right now, we are living in the future, where many of us have social circles and professional interactions without ever leaving the house. The internet has enabled people to become more global and worldly, but there are still some kinks were are working out of this new social structure that we haven't fully been able to figure out. With the world being at your fingertips and the wealth of knowledge right there whenever you need it, there are so many intellectual advances your child can make that you might never have imagined as a kid. 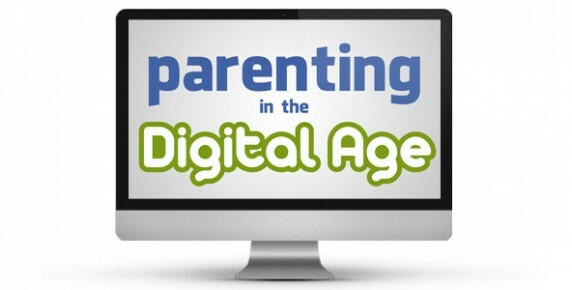 With only a single generation separating the "space age" from the "information age" digital parenting is something we also need to consider. Because with the entire world at a glance, there are a lot of things out there that you, as a parent, have to decide if your child is ready for or not.